Last week saw the second International Leadership Conference at the University of Nottingham. 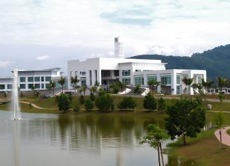 Building on the success of the inaugural event held in China in November 2010, the 2011 event took place at The University of Nottingham Malaysia Campus, 30km from Kuala Lumpur. This intensive four day programme is designed for senior managers and leaders from higher education institutions from across the world. This was a really good event and I hope that all the delegates enjoyed it as much as I did. Thanks to all speakers and participants for making it such a good experience. Already looking forward to the 2012 event which will be held at University of Nottingham, Ningbo China.